Escape to the beautiful town of Littlewood with Part 4 in an exciting new serial from Victoria Walters! Summer is drawing to a close as Huntley Manor is due to have its grand re-opening. Abbie is determined to save the hotel from closure but she has to remember her own career too… As she and Thomas grow ever closer, will she end up making Littlewood her home for good? Or will she set up her own PR company back in London…? Eszter has to decide whether it is time to go back to Hungary... But what has she got to return to? She has no career to speak of, and their home is filled with painful memories of her beloved husband. But can a new job, a new home and a surprise new dog convince Eszter and Zoe to stay? Louise wants to tell Alex how she feels but decides she needs to show him after pushing him away for so long. Will a grand gesture be enough to show him she won't run away this time? I loved reading about Abbie's ending because Abbie is such an independent woman and knows what she wants. Sometimes that can come across as not being willing to accept help but when she lets her guard down, things will be a whole lot easier for her. Abbie can come across as someone who is not entirely open to love and sometimes even friendship but she shows her softer side in this part and I loved her ending as well! Eszter is someone who has really grown on me as the series has gone on but now I really love reading about Her and Zoe and their relationship with Zoe's grandmother. Their part of the story also involves a lot of eating cakes and drinking coffee which is awesome. One of my favorite scenes involved Eszter and Abbie and a cream tea. 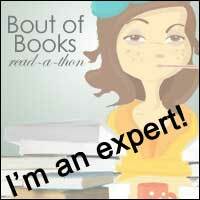 I could almost taste the scone drizzled with jam because of the way this author described them! And then there's Louise, I think she might be my favourite. Whereas Eszter has been involved in a 'will they? won't they?' about going back to Hungary, Louise has very much been involved in a 'will they? won't they?' of the romantic kind and so we have the agonising waiting and wondering with her drawn out until the very last minute in this series. Louise is amazing and I would love her to be my friend! 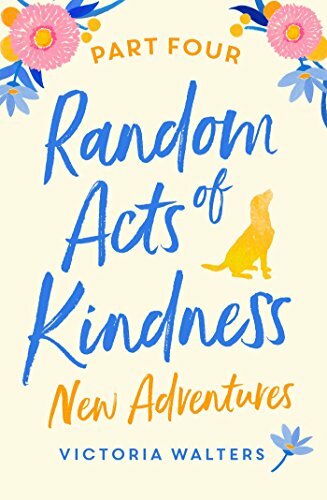 I have so enjoyed this series and it has really encouraged me to try out random acts of kindness and also see the kindness in others. I've also really enjoyed the fact that this series has been releases sporadically so I can leap upon it the moment it hits my kindle, turn off my phone and spend just over an hour immersed in the world of Littlewood, Louise, Abbie and Eszter!